‘Gaviscon’ grandad dies as heart attack ward is closed – due to staffing crisis at NHS Scotland? 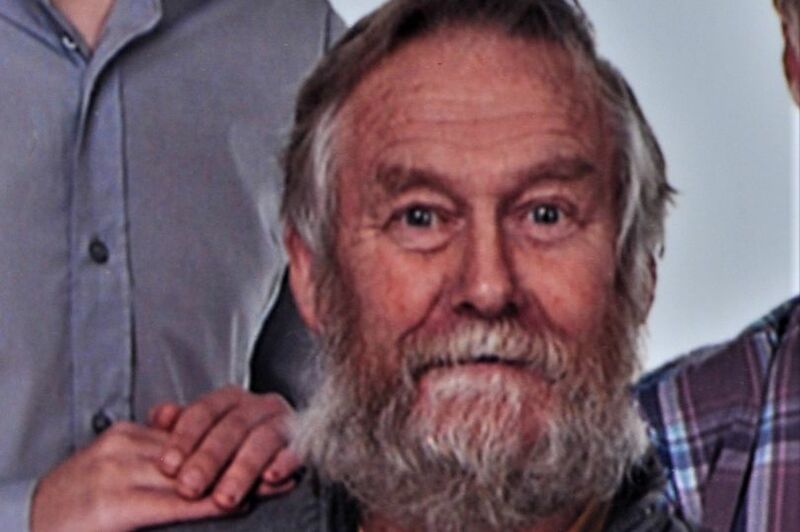 Brian Gibb left behind four children and nine grandchildren [Image: Jim Ryder]. It seems the troubles that have beset the NHS in England – since the Conservatives started privatising parts of it and running down the rest – have spread to Scotland. Can anybody doubt that Brian Gibb would be still alive if he had received proper medical care at the right time? And can anybody doubt that he did not receive that care because of staff shortages? The fact that the doctors he did see did not carry out proper procedures must be investigated, of course, but what is the underlying problem? Is it that the amount of funding received by the NHS in England affects the amount received by the service in the other UK countries? Is it that, as England loses funds, so do the others? A grandad died less than 24 hours after hospital doctors sent him home with Gaviscon because the heart attack ward was closed. Brian Gibb, 69, who was suffering from chest pains, arrived at [Galloway Community] hospital on a Saturday night to find the ward for heart attack and stroke patients closed because of staff shortages. His family say medics gave him an electrocardiogram scan but did not do a blood test which would have shown whether he had suffered a heart attack. Instead, he was given Gaviscon, which is widely used to treat heartburn and indigestion, and told he could go home. Brian’s wife Margaret, 67, found him dead in bed the next day. He left four children and nine grandchildren. Margaret is now demanding answers about the care Brian received before he died on Sunday, July 9. The family are waiting for a post mortem but suspect Brian suffered a heart attack. Community leaders have been alarmed by staffing problems at the hospital, including on the Garrick Ward for heart attack and stroke patients. Lack of staff has seen the hospital’s accident and emergency department downgraded to a minor injury unit. 4) Register with us by clicking on ‘Subscribe’ (in the left margin). You can then receive notifications of every new article that is posted here. the problems with the NHS in scotland are not confined just to a select few places.the government have starved the NHS in scotland for a long time and they have come to a point that they will have to close the only hospital in Stranraer and force all patients to travel 75 miles to Dumfries for anything, including emergency treatment. they have had a long time of staff shortages at Stranraer, since the place was built, with even the specialists not wanting to visit. the issue there is that they have no staff to help in their work and half the tools in the hospital have never been used due to the staff shortages. they have 1 ward open out of 4 I think but could be as many as 7. more nazi propaganda about not needing it. it is a fairly new building as well. The answer is Yes. Is the NHS in Wales still part of the NHS in England rather than health being devolved? The Barnett formula ensures that if any amount is cut from the English health budget, a proportional amount is cut from the devolved countries’ cash. It is the same as for any Welsh and NI devolved issues when it comes to funding. The Scottish government is doing its best to stop our health service being sold off, good in the long term but hard to run in the short term with current funding. It was a rhetorical question; I knew the answer. Sorry Mike, I really should have known that. I jumped in as an automatic reaction to a statement that we hear so often up here. The proportion of the population that understand the issue seems to be very low. They, along with almost every non-SNP MSP (who do know), blame everything from this sad incident to split toe-nails on the SNP government. They are not perfect but doing better than might be expected. I am still wondering if the NHS is devolved in Wales though? I take Sotalol of which there is a national shortage. From the horses mouth (a doctor) this mainly happens because of ”corruption”. They are manufactured abroad and which ever country pays the most will get the stock. Apparently this goes on frequently now. Some are not even getting their insulin. A few weeks ago I couldn’t get the correct dosage for my weight of heparin. A shortage! Basically our Government will not allow the NHS to purchase these drugs. Gaviscon is very good for heartburn – I know from experience. No good at all for heart attacks, though. Only heartless government would treat the NHS, its staff and patients as our lovely tories, do. A plague on them. There is not doubt that the NHS is being run down and privatised but he back door, but as for your question, “Can anybody doubt Brian Gibb would still be alive”, the answer is yes. He had an ECG which presumably did not show any reason to consider a heart problem, and as heartburn has very similar symptoms he was given Gaviscon for that problem, this is an everyday occurrence and has been for a long time. As the P.M presumably has not been carried out, the reason for his death has not been ascertained as yet. The deliberate underfunding and understaffing along with a ridiculously constructed management system no doubt add to the number of preventable deaths, but we have seen the media feeding frenzy when they claimed more people than had actually died in total at Mid staffs were preventable and left us with a downgraded hospital and poorer service because of it, you should wait till all the facts are available before jumping to conclusions. If doctors had given him the blood test, according to their rules, they might have found out what was wrong with him and helped. They didn’t. I certainly hope that failure to carry out the proper tests is not an everyday occurrence in the NHS – although, under the Tories, that is no longer a certainty. here at my GP surgery, because of costs,they are stopping us having gaviscon at all. we are offered a generic pne which i and a number of others ive found fimnd so repulsive to take.it has an oily base which gaviscon doesnt. we are told its that or buy yur own gaviscon at between 8 and 11 quid a bottle. even when entitled as a pensioner like me and a number of my friends or on benefits. what will be next i ask myself.? The problem everywhere is that we are under attack from Neo-Liberalism which is dismantling the state, whilst people are sleep walking into oblivion. It’s been happening now for over forty years and because it has been slowly introduced people have adapted to the changes…… which Neo-Liberals hoped would become so institutionalised that it would be permanently adopted. The NHS is being deliberately crippled so that American health companies can walk in as the great white knights, followed by Insurance companies which will entrench trade regulations that in their view would would permanently lock us into the nightmare now facing Americans in the USA. The 1% are destroying our democracy, what little we had. I don’t usually read the comments on your Facebook page since I get the original e-mails, but I did happen on this one. One of the commenters, local to the area, hit the nail on the head. This hospital is in the back of beyond and they find it hard to get staff to work so far from the nearest decent town. They rely heavily on immigrant workers, as do many of the remote rural Scottish hospitals, who are leaving because of the uncertainty of Brexit, which is going to be a catastrophe up here. The SG is trying to get a bit of control over Scottish immigration (it won’t happen with May in charge). We need to increase the population not throw folk out. I saw that comment too. Was going to write an article on it – hopefully later today.